Selling your home in Westchester NY with a flat fee MLS listing is a great way to save up to all 6% of traditional broker fees. With a Westchester NY flat fee MLS listing, you’ll save at least 3% in the listing broker’s commission and possibly also the 3% traditionally paid to a buyer’s agent if you are able to find a direct buyer. 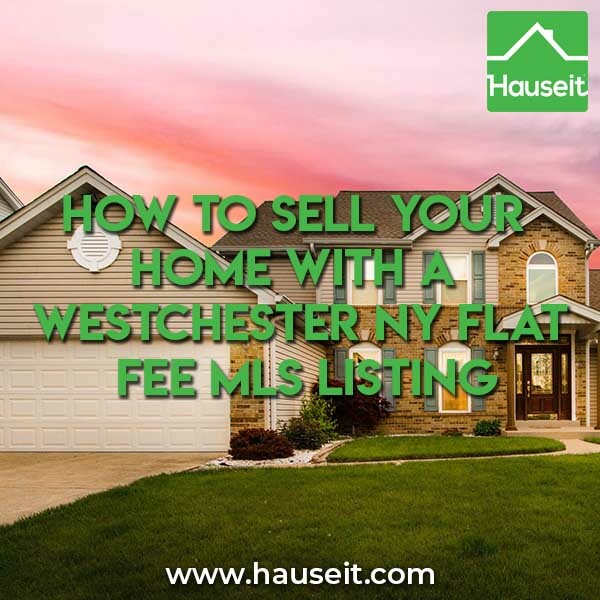 What are the reasons to list my home through a Westchester NY flat fee MLS listing? Are there any risks to selling my home through a Westchester NY flat fee MLS listing? Which MLS should you list your Westchester NY home in? What are the next steps to selling my Westchester NY home through a flat fee MLS listing? Do I need to hire a real estate attorney if I’m selling through a flat fee MLS listing in Westchester NY? A flat fee MLS listing is much more effective than a traditional For Sale By Owner listing precisely because of the exposure your home will receive from buyers’ agents through the MLS. Given the choice, most buyers’ agents will prefer to search for listings for their clients through their local MLS because all of the listings in the MLS are co-broked, meaning that listing agents have contractually agreed to share 50% of the commission with a “co-broker” that brings a buyer. Each buyer client is worth 3% in commission to a buyer’s agent, and given the risk averse nature of buyer’s brokers why on earth would they send clients listing ideas where there wasn’t a guaranteed way for them to get paid? Note: Buyers’ agents are extremely important for you to engage given that 90% of all home buyers work through a buyer’s agent. Think about it, don’t you have at least five real estate agent friends yourself? Wouldn’t you agree to work with one of them if you were pitched that having a buyer’s agent’s help is free? Remember that it is sellers who traditionally pay both sides of the commission. You’ll want to be careful in choosing who to work with. A known discount broker or a “mom and pop” flat fee MLS shop will have a poor reputation with traditional real estate brokers who control and represent over 90% of all home buyers. Because it’s so obvious what a flat fee MLS company is up to (i.e. all a traditional broker has to do is search for their name on the internet), you’re just as likely to be solicited to list with the traditional broker as you would if you had simply listed For Sale By Owner. Even worse, because of the poor reputation that these “bucket shops” have with traditional brokers, you may likely be boycotted by traditional buyer’s agents! Pro Tip: The only way to avoid this trap is to work with a reputable, brand name traditional broker who has discreetly agreed to offer private label discounts through Hauseit. 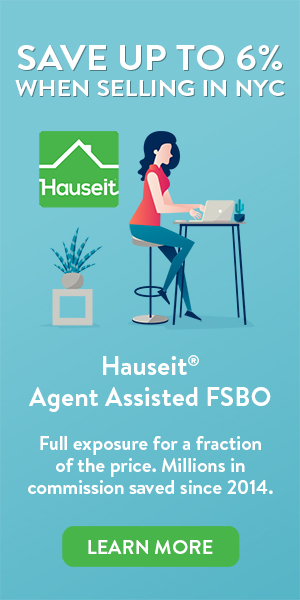 Through our highly rated partner brokers, you’ll receive the same marketing exposure as their normal commission sellers, and have the option to choose between a highly affordable self-service listing option or a full service listing option for only 1% seller broker commission. It’s important to understand that there are many MLS systems and broker databases in the greater New York City region. Which one your home is listed on will determine whether you’ve just wasted several hundred dollars or whether you’ve just saved 6% in commission. The dominant Multiple Listing Service in Westchester and the greater Hudson Valley area is the Hudson Gateway Multiple Listing Service (HGMLS). How can you verify that the HGMLS is the dominant MLS in Westchester NY? If you do a simple internet search for the Westchester MLS, you’ll see results that also include the NY State MLS as well as the Long Island MLS. When there are multiple MLS systems that claim to cover a county such as Westchester in New York, the easiest way to verify which one is the most relevant is to see which system has more local listings in its system. Furthermore, you can check to see which MLS has the most agents in Westchester. As a result of in-house research by Hauseit, it became obvious to us that the glaringly obvious MLS that covers Westchester is indeed the HGMLS. If you check out the HGMLS website, you’ll see that the Hudson Gateway Multiple Listing Service covers several counties including Orange County, Putnam County, Rockland County, Westchester County as well as Manhattan and the Bronx. Even though the HGMLS acquired the Manhattan MLS, they face stiff competition from the incumbent RLS broker database operated by the Real Estate Board of New York in much of NYC. While the HGMLS may not be so relevant in Manhattan, they do cover wide swaths of the Bronx. However, many areas of gentrifying southern Bronx such as Riverdale are well covered these days by REBNY’s RLS as major NYC based REBNY firms expand into the boroughs. After taking 5 minutes to submit your listing details on our website and purchasing our List Your Home Online product, you should consider purchasing professional photographs and a floorplan in case you do not already have these handy. Starting at approximately $300 as of this writing, professional real estate photography is the easiest and smallest investment you can make in your home sale process. The cost is truly insignificant compared to the average home sale price of over $1 million in Westchester NY. Professional photographs are an incredibly important component of a successful home sale. Since over 98% of all home buyers start their search online, what do you think they’ll see first about your home? That’s right, often times buyers won’t even bother to read through your listing description but will instead first flip through your photos online. Because of the shorter attention spans of internet users today, you had better make sure your listing photos look incredible. So ditch your flip phone camera and let our professional photographers come with proper equipment and experience so you can showcase your home in the best possible light. Furthermore, our photographers will digitally re-touch and edit your photos and have a finished product available typically within 24 hours of the photo-shoot. Note: Having a floorplan available on your flat fee MLS listing in Westchester NY is almost as important as having professional photographs available. According to a recent study, 50% of home buyers today will not visit a property without first seeing a floor plan online. This makes sense especially if there is plenty of inventory to choose from. Why waste time travelling to and seeing a property when you don’t even know if the layout is acceptable to you? Yes, a lawyer is absolutely necessary for real estate transactions in Westchester NY and New York State in general. Unlike other states such as California where the purchase agreements are simple, standardized forms which Realtors can guide their clients through without a lawyer, purchase contracts in New York are typically much more complex and negotiable. Typically once an offer has been accepted, the seller’s attorney will send across a standard purchase contract along with a rider with more specific negotiating points to the buyer’s attorney. The buyer’s attorney may respond with a separate rider with the buyer’s specific demands. Besides negotiating the contract of sale, lawyers are responsible for legal and financial due diligence on behalf of their client. For buyers, that includes ordering a title report and reviewing the report for any violations and liens against the property. It also includes reviewing the building’s financials, offering plan and board minutes if you happen to be buying a condominium or cooperative apartment. Note: For transactions in more suburban areas like Westchester NY, the buyer’s attorney will also be responsible for reviewing the survey map of the property and checking out your local zoning.